The brain requires Vitamin B to calm down. Stress, depression and memory-related problems can be related to a lack of Vitamin B. With stress looming over you and the blues take over, the need for vitamin B rarely crosses the mind first. Studies in recent years have proven, though, that vitamins of group B can lift the mood and alleviate stress. They may well be called "nervous vitamins". Technically, Vitamin B is a group that includes eight water-soluble vitamins, which means that they leave the system rather quickly with urine. The vitamins of this group are often found in the same foodstuff, such as fish, meat, milk, yeasts, whole grains, peanuts and seeds. These "nervous vitamins" are necessary in metabolism, the production of energy and the formation of red cells. Vitamin B also supports brain cell functions and advances the production of serotonin, a neurotransmitter that lifts the mood and regulates sleep and heart and circulation. Vitamin B may pose a natural remedy for stress. Researchers at Swinburne University in Australia studied the effects of a Vitamin B compound on work-related stress on a 90-day treatment period. The test took into account the personality differences of test subjects as well as work demands. Test subjects consumed a strong Vitamin B compound for 30-90 days. Their stress levels were decreased by 19 per cent. Anxiety, depression, hostility and fatigue were also reduced among those who consumed Vitamin B. Those who consumed a placebo did not experience any changes. According to researchers Vitamin B provides a cheap treatment method for work stress as well as mental problems in general. Vitamin B can even play a part in the most difficult mood disorders. For example a study by Okayama University in Japan revealed that those who suffer from panic disorders and hyperventilation have a deficiency of Vitamin B6 and iron. No deficiency was noted among the healthy test group. What about depression, then? Even then Vitamin B cannot be ignored. Doctor of Medicine Jussi Seppälä's dissertation revealed that a lacking intake of folic acid and Vitamin B12 increased the risk of certain symptoms of depression, such as a lowered mood. Folic acid is a synthetic form of folate, i.e. Vitamin B9, which is contained in vitamin pills, for example. "The risk of having melancholic symptoms was smaller almost by half with those who received most folic acid when compared to the group with the smallest intake," Seppälä says. Seppälä's research also revealed that those with the lowest levels of Vitamin B12 also experienced the most melancholic symptoms of depression. Those with the highest levels of Vitamin B12 did not have an increased risk of depression symptoms. Seppälä believes that the results should be used in planning treatments. "When a person is diagnosed with depression, it would be sensible to measure the Vitamin B12 concentration in their blood." Vitamin deficiency may not always be observed by the person in question. According to experts, the only reliable way to study vitamin levels is through a laboratory test at a health care centre. Alarming signs of a Vitamin B deficiency may include fatigue, weakness, problems of memory and concentration, the numbing or tingling of hands and feet, skin symptoms and ulcers in the corner of the mouth. A prolonged Vitamin B deficiency can lead to permanent nervous and memory damage. A lack of Vitamin B increases the risk of cardiovascular diseases, intestinal cancers, depression and memory-related sicknesses. Vitamin B12 deficiency increases the likelihood of having Alzheimer's disease or another dementia. 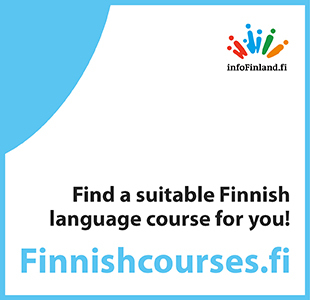 The good news is that Finns usually have a good intake of Vitamin B, a 2007 report by Finravinto reveals. The exception is folate, which can be found in particularly significant amounts in vegetables, berries and fruits. According to experts a lack of folate signifies a major lack within the Finnish diet: we should consume vegetables almost twice as much. Because Vitamin B12 is only found in products of the animal kingdom, vegetarians and vegans particularly are at risk. Experts recommend additional nutrients for these people.